This blog summarizes the insights and highlights for the releases SAP #S4HANA Cloud 1702. Today we are very happy to announce the general availability of SAP S/4HANA Cloud 1702, our most comprehensive and innovative cloud release to date. This update includes multiple innovations and enhancements across all the editions, from LoB Finance to LoB Procurement and Manufacturing. We have delivered on our localization plans and delivered many more self-service UIs to the market. Since the Finance Line of Business continues in leading the shift to the cloud, key innovations in Finance are again a major topic with 1702. With this release, customers are now able to take advantage of machine learning innovations which help them to reduce manual efforts and enhance their daily business. The solution automates the process of clearing incoming bank payments with corresponding receivables leveraging matching prediction results based on learning from accountants’ past actions. For many of our customers, intercompany processes are a headache. With this update, we bring new functionality for intercompany processes for cost allocation in the general ledger. This functionality enables accountants to reduce effort during intercompany cost allocation. 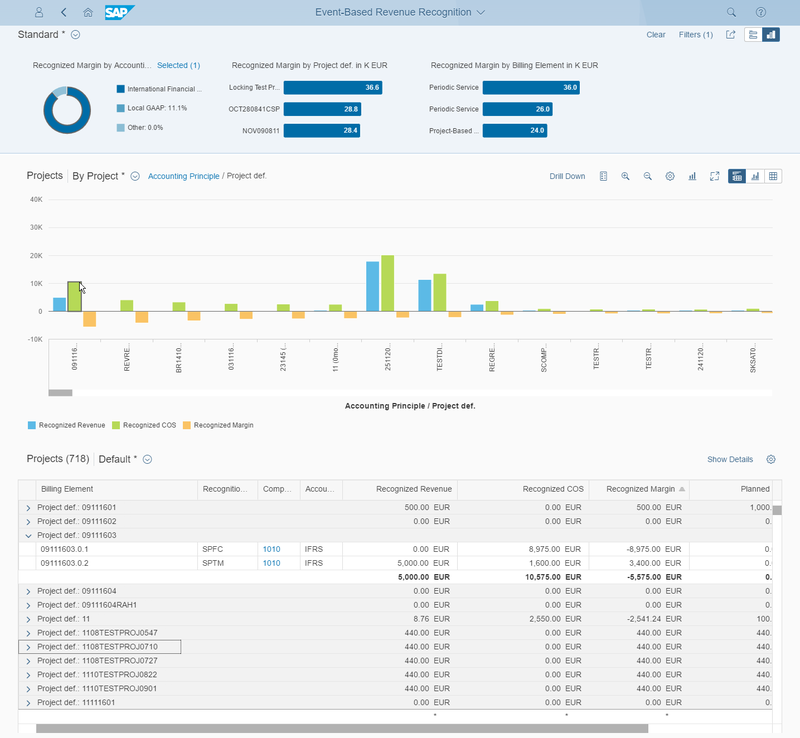 Finance Cloud also includes selected procurement and order management capabilities that help customers integrate to other SAP S/4HANA Cloud solutions. It is a “mini cloud ERP”. With the integration of Concur solutions, for example, payments are significantly accelerated. The latest release of our Professional Services Cloud continues the pattern of innovation across LoBs to help customers efficiently manage their end-to-end professional services automation. One feature I would like to mention is the financial integration of accrued expenses. With this function, the need for separate expense billing is removed, thereby supporting end-to-end project billing processes. The new function of project revenue provides customers with more revenue analysis and comparison possibilities. This significantly improves tracking and decision making in projects. For this product too, the important integration to Concur is provided. The Cloud-based travel and expense solution enable users to plan trips and create expense reports. This information is then transferred to financial systems for posting and integration with SAP S/4HANA Cloud. All these innovations above are available in S/4HANA Enterprise Management Cloud too, but let me add to these with additional toppics that are coming only with our SaaS ERP solution. First, an update on the LoB Sales. With automation in Sales rebate processing and customer rebates settlement, customers can achieve enhanced transparency and faster processing across the entire contract lifecycle. This innovation enables users to create and settle different types of sales rebate agreements flexibly. Let’s take a look at procurement, where we digitize the invoice process to increase the productivity of accounts payable clerks. 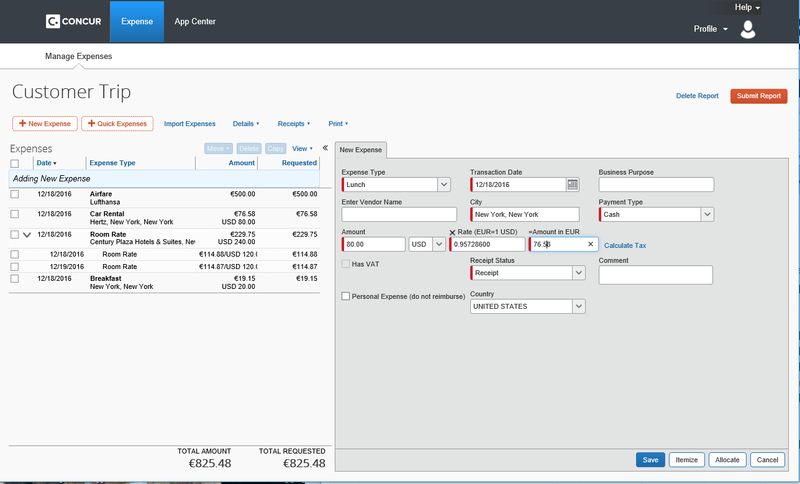 Invoices created in SAP Fieldglass are automatically posted in SAP S/4HANA. Once an invoice in SAP S/4HANA is paid, the status is seamlessly transferred to SAP Fieldglass. Regarding Manufacturing, we have included the Kanban functionality for lean production control. The flexibility and visibility of manufacturing and supply chain processes can now be improved. Another benefit coming with the LoB Manufacturing is the integrated quality management activities during stock handling. With this update customers can detect nonconformities and perform necessary follow-up actions. As a concrete example for ALP shipped with 1702, I want to mention the Event Based Revenue Recognition ALP. It is part of the Sales Controller Role, and analyzes the recognized values for a project, based on IFRS or local GAAP. It shows the individual revenue recognition postings for the selected project and allows the user to directly adjust the recognized revenue and cost of sales if this is necessary, and the user has the appropriate authorization. Also, entering accruals can directly be triggered from within this ALP.